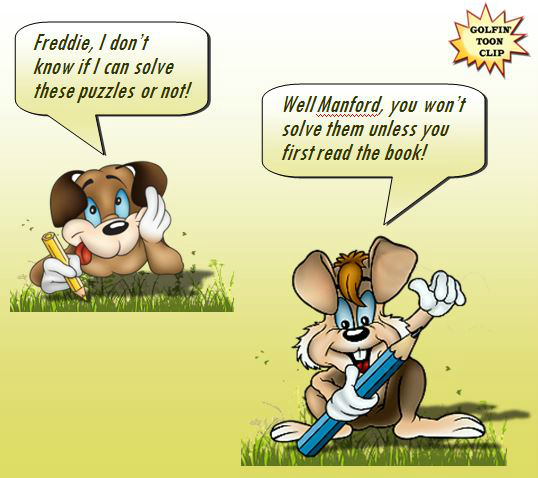 General Puzzle: Those puzzles relating to the game of golf which are general in concept, not requiring specific reading of our books to solve satisfactorily. Specific Puzzle: Those puzzles relating to the game of golf which are very specific in concept requiring definite prior learning to solve satisfactorily. We will included one or more crossword puzzles in the Golfin'Ology series of books which are designed to test the reader's knowledge of the presented subject matter. NOTE: A complete index of all Golf Crossword Puzzles will be listed within the upper right hand corner of this page. (Note: The index is not active yet)!